Contact Wonga customer services on their London telephone number 0207 138 8330 for short-term loan applications, for repayments and for technical support with their online platform. 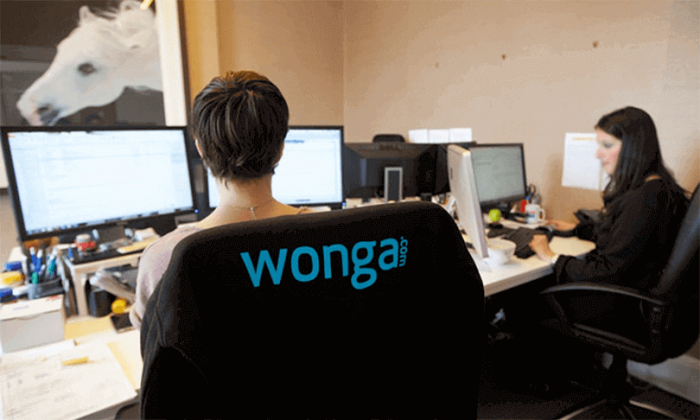 Contact Wonga on their UK customer service phone number 0207 138 8330 to apply for a short-term ‘payday’ loan, to confirm the amount you will have to pay back, to track an existing application and for live interest rates which are affecting your current loan. Please be aware that Wonga loans carry very high annual APR interest rates and your property may be seized if you do not make the repayment by the due date so you must be absolutely sure you can pay them back if you decide to apply for a payday loan. Potential customers should also note that a poor credit score may affect your ability to take out a Wonga loan and similarly not repaying your loan will be severely detrimental to your score. Therefore you should call this helpline immediately if you are suffering financial difficulties as they may be able to delay your repayment date or restructure your loan agreement. Furthermore if you require technical support when using their online service to manage your loan amount you can call this helpline for troubleshooting assistance. You should also call this helpline after your agreement has ended to confirm that you have paid back the amount in full. Phoning Wonga will cost you the same as calling other 01 and 02 local UK phone numbers which means you will pay your provider an access charge alongside a per-minute rate, alternatively if you have free inclusive minutes remaining on your landline or mobile contract you may use these to contact Wonga for free. You can call their customer service team any day of the week between 7am and 10pm. Phone Wonga from outside the United Kingdom by calling their international contact number +44207 138 8330 to manage your payday loan repayments whilst on holiday. Be aware that phoning Wonga from abroad will cost more than making a call from within the UK and that rates differ depending on which overseas country you are calling from. Phone the Wonga automated repayment helpline on the UK contact number 0207 183 0063 to pay off your short-term loan before the agreed final due date. This is highly advisable if you can afford to pay off your payday loan early as you will save a significant amount due to their high interest rates. You can also phone this helpline for an up-to-date estimate of the total amount which owe Wonga to help you budget for the remainder of your term. Wonga customers can also contact the payday loans company in writing by either sending a letter to their Sheffield office address or by sending a quick message via their email address. You can send emails to Wonga via their dedicated address customercare@wonga.com where you can enquire about the interest rates which affect their loans, to request more funds on an existing loan and to get their payment details so you can pay off your outstanding debt early. Letters of general enquiry and feedback can be sent to the Wonga customer service office by writing to their Sheffield postal address below, please be aware that this office does not accept cheque payments to pay off your loan and that you should not include any sensitive information about your bank account as this is not a secure method of communication.